Begin today at London St Pancras, where you'll meet your Tour Manager as well of the rest of your group, to start your journey to Europe. Board the Eurostar travelling to Brussels, then change for the service to Nuremberg, via Cologne. You make the short walk back to Nuremberg station for the train to Vienna, changing for the final leg of our journey. Arriving in Budapest, we meet the Amadeus Queen and are welcomed with a cocktail in the lounge before dinner. Later take in the illuminated sights as we sail around the city. You are also treated to a performance from a local Hungarian folk band in the lounge. This morning you enjoy a guided coach tour, introducing you to Budapest's main sights. You pass impressive buildings and monuments on both sides of the Danube, including the neo-Gothic Parliament building, the magnificent State Opera House and St Stephen's Basilica, Budapest Castle, Matthias Church and Fishermen's Bastion. You return to the ship for lunch, after which you have some free time before you begin cruising to Bratislava. 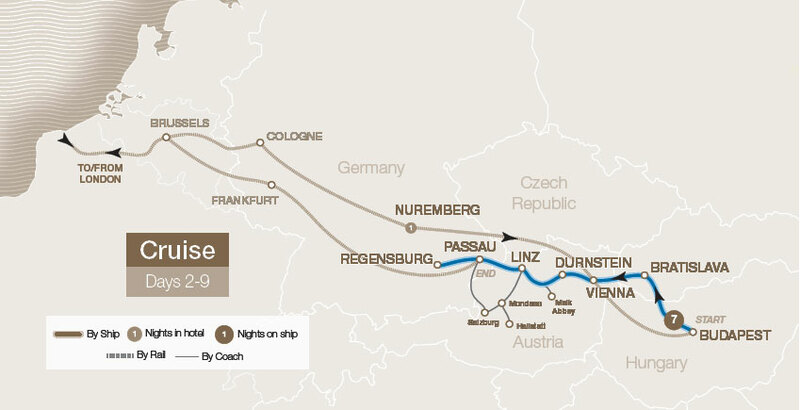 Your departure time means your arrive at the scenic Danube Bend just as the sun sets. This section of the river has a long and fascinating history and from the sun deck or panoramic windows in the bar, you'll be able to see castle ruins, churches, pretty houses hidden in the hills and dense forests, all soaked in the golden glow of twilight. Your morning is at leisure aboard before you moor up early this afternoon. After lunch, you set out on a guided coach tour of Slovakian capital. Located in the foothills of the Carpathian Mountains, Bratislava straddles the Danube which neatly divides the city into two parts; the Baroque Old Town (Stare Mesto) and the new city. This picture-postcard city destination historic Gothic buildings, several universities, a wealth of museums and galleries, and a refreshing cosmopolitan atmosphere. The historic centre features delightful cobbled stoned roads, pedestrianised plazas, pastel 18th century rococo buildings and street cafés galore. Following our excursion, you return to the ship for another delicious, 5-course dinner. 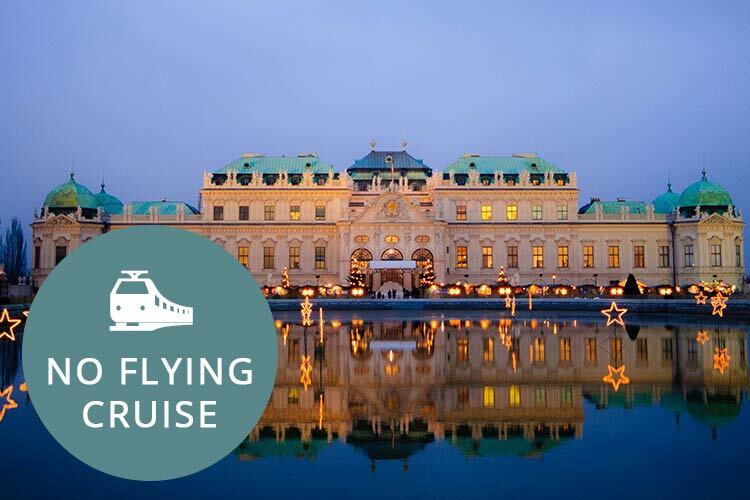 After a calm night of cruising, you arrive into glorious Vienna, for a comprehensive sightseeing tour. This is a chance to relish in Austria's Imperial heritage, one full of tradition and rich in architectural, artistic and musical heritage. You'll see many of Vienna's finest ornate buildings, including the impressive Hofburg Palace. This vast complex of buildings demonstrates the awesome power and wealth commanded by the Habsburgs. You'll also take in the impressive Opera House, one of the leading opera venues in the world, as well as the grand Parliament Building. Tonight a real treat awaits you on board, where after dinner you are joined by musicians from the Vienna Philharmonic Orchestra for an exclusive, private recital. Be whisked away by the music as you immerse yourself in this singularly exceptional experience, as the Vienna Philharmonic is one of the most popular and skilled orchestras in the world. Today you reach Austria's Wachau Valley, a famous wine-making region. You arrive in the idyllic village of Dürnstein where you have time at leisure. 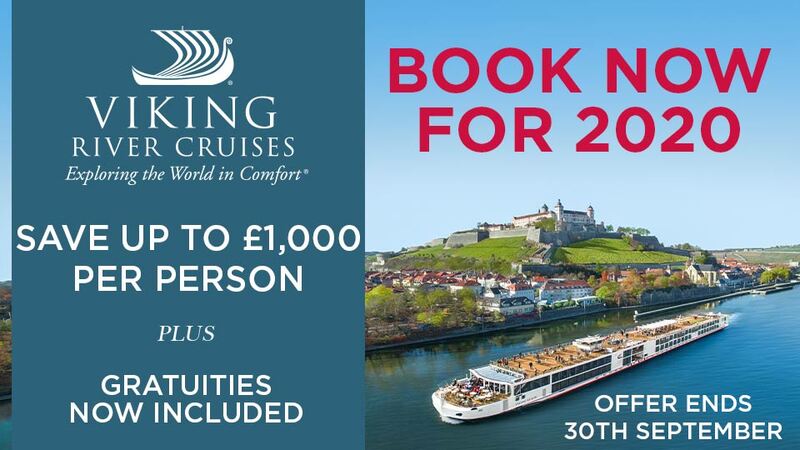 As you sit down to lunch on board you begin cruising along the picturesque Wachau Valley, an extremely scenic area with green valleys and vineyards rising up from the river, picturesque riverside towns, and commanding fortresses with sweeping views. You then journey by coach to Melk Abbey, enjoying entrance to this 11th century Benedictine Abbey which stands on a rocky outcrop overlooking the Danube and is home to the Abbey Church, considered one of the most beautiful Baroque churches north of the Alps. On Day 7 you disembark in Linz, where you have a choice of excursions. You could head further into the countryside for a day spent amidst the spectacular scenery of the Austrian lakes. Make stops in UNESCO listed Hallstatt, one of Austria's most photographed villages thanks to its traditional pastel-coloured houses perched on the tiny plain between the mountains and Hallstättersee Lake, as well as Mondsee. This pretty town is set on the lake of the same name, and its most famous sight is the 15th-century parish church, which featured in the wedding scenes of 'The Sound of Music'. Otherwise, travel by coach to Salzburg, via Mondsee, one of Austria's most famous cities and known as the birth place of Mozart. A guided sightseeing tour reveals the city's internationally renowned Baroque architecture, a UNESCO World Heritage site. You rejoin the ship in Passau. Regensberg is your port of call this morning, which you explore on foot. This medieval town contains many buildings that testify to its history as a trading centre and to its influence on the whole region from the 9th century onwards. Back on board tonight, you attend the Captain's gala dinner, a chance to don our evening-wear and celebrate our cruise experience. On Day 9 you disembark after breakfast to start the journey back to the UK by rail. Terms and conditions apply. All offers are subject to availability and operators booking conditions. Prices are based on two passengers sharing the lead in grade stateroom unless otherwise stated. Prices may change at any given time. 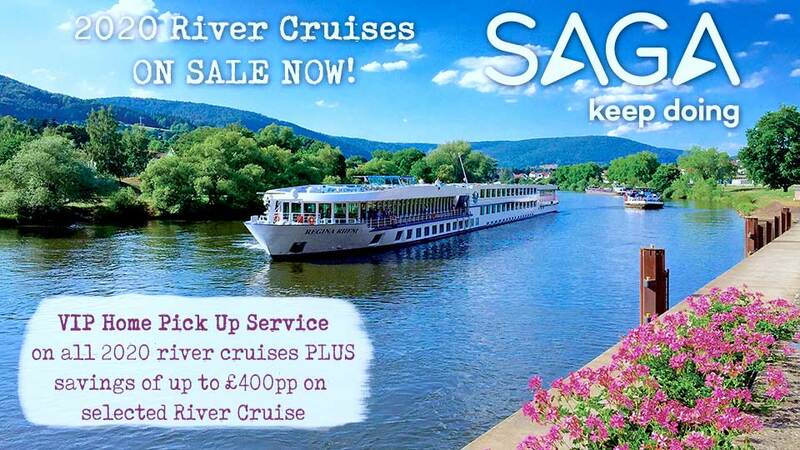 ^Itinerary May operate in reverse, please call to confirm. The Cruise Village ABTA P6710. We charge a one-off small £20 booking fee. That’s it - nothing more and no add ons when you pay the balance. E&OE. ABTA P6710.